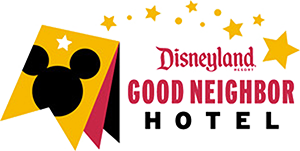 Anaheim Majestic Garden Hotel’s on-site dining options offer something to satisfy all of your cravings and please your palette. We have several restaurant options for a quick meal, grab and go lunch, a sit down family meal, a place to unwind after a long day, or a leisurely meal overlooking the hotel gardens. Choose from whichever restaurant suits your mood and enjoy! Serving traditional, authentic Japanese cuisine, complete with a fresh, creative sushi bar and interactive Hot Pot and Shabu-Shabu meals. 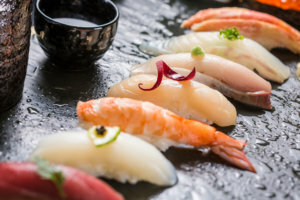 Family-friendly with a fun adventurous menu, Hanagi Japanese Restaurant will be opening for lunch and dinner in spring 2019. The California Deli offers fresh salads, sandwiches, fruits, snacks, breakfast pastries, ice cream and your favorite beverages including take out beer and wine. 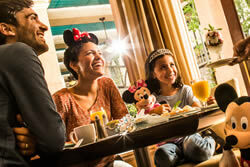 Take your food to go or stay and dine in at our outdoor café-style tables. Open for breakfast, lunch, and dinner daily from 6:00 am to 12:00 am. Garden Court Bistro at Anaheim Majestic Garden Hotel is perfect for an energizing breakfast, relaxing lunch break, or healthy and plentiful family dinner before the fireworks! For breakfast, enjoy our spectacular breakfast buffet or find something delicious on our regular menu. Our lunch entrees include hearty salads, a variety of tasty sandwiches, and pastas for something light or a nourishing meal to last you straight through until dinner. At dinnertime, you’ll have a dilemma choosing from a full menu of fresh seafood, poultry and beef. The Garden Court Bistro has fast, friendly service, a full bar, and the chance to sit outside and enjoy our hotel’s majestic gardens. Breakfast served 6:00 am to 11:00 am; Lunch served 11:00 am to 2:00 pm; Dinner served 5:00 pm to 11:00 pm. Closed from 2:00 pm-5:00 pm. Unwind at the end of the day in the stylish, comfortable Garden Court Bar & Lounge at the Anaheim Majestic Garden Hotel. Sink into the leather chairs with a selection from our full bar and enjoy the company of family, friends or co-workers. Open 11:00 am to 1:00 am daily. Happy Hour 3:00 pm to 6:00 pm. Lunch available 11:00 am to 5:00 pm and dinner is available from 5:00 pm to 11:00 pm. Relax poolside with a tasty snack, hearty meal, or cold drink. Indulge in an in-room dining experience with delicious food and fast, professional service for those times when you’re comfortable and cozy in your hotel room. 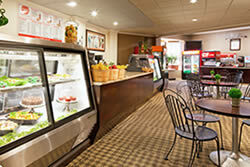 Full Garden Court Bistro menu is just a phone call away for those staying at the Anaheim Majestic Garden Hotel. Breakfast served 6:00 am to 11:00 am; Lunch served 11:00 am to 5:00 pm. Dinner served 5:00 pm to 11:00 pm. Dining times subject to change. Hanagi Japanese Restaurant coming soon!